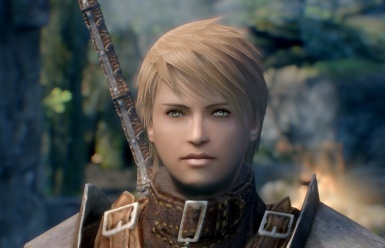 This mod adds some new sliders, head parts, one race, and more natural makeup colors. Aikiko Honda the Ninja save game. Belgarath the Sorcerer save game. Conan The Barbarian my way. Drizzt Do Urden V2 update. Eilah Windsong Moon elf save. Erik Vargtass the Viking save game. Quintus - An Imperial Preset for Racemenu and ECE Only if using the ECE presets. Do not use with Racemenu. Pick one or the other. Unique Character Enhanced Character Edit Patch. You are not allowed to convert this file to work on other games under any circumstances. You must get permission from me before you are allowed to modify my files to improve it. 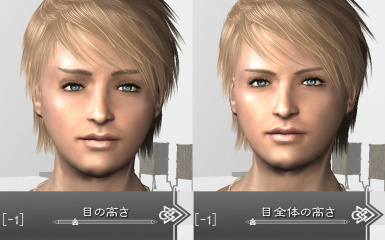 You feel free to use face data, slot and ini file from make this mod. No need to contact me. But you distribute tri files, because of avoid conflicting this mod. 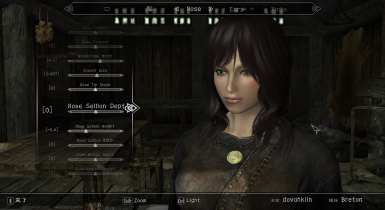 No Need to include tri file in face mod or follower mod. 2019.04.19 1.57 Reverted RaceCompatibility.esm, which was French by default, to English. Supported Japanese language for RaceCompatibility.esm. Released English and Japanese of RaceCompatibile.esm in optional files. Changed Form 43 to Form44(SE) in RaceCompatibility.esm. Change wizard and Fomod installer. Included XPMSE skeleton. Abolished other skeletons. Included ECEE 1.46, added many slider. Included More Body Slider as a installer option, added many body slider. Added three eyes (38, 39, 40) and one nose (31) for men. Improved nose of ygNord male race. Corresponded YgNord man's beards and scars. Changed sk map for the YgNord man. Changed YgNord skeleton to XPMSE as default. Enabled stop animation with semicolon key. Supported German and French language for additional slider of ECEE and MBS. The back of the neck can be editable in vertex editor. Fixed garbled characters when Japanese name slider was installed. Console fonts included for Japanese user. Fixed an issue the slider name is not displayed correctly in the English version. ﻿Export Head function(F1 key) cannot be used. Slot data is compatible with LE version. This mod adds more than 50 new sliders (without the beast races). The vanilla slider is now 1.5 times wider. This mod adds more than 30 extra parts of eyes, nose and lips. Adds human head parts of elves and orc race. Almost vanilla parts for get easier to create a character. 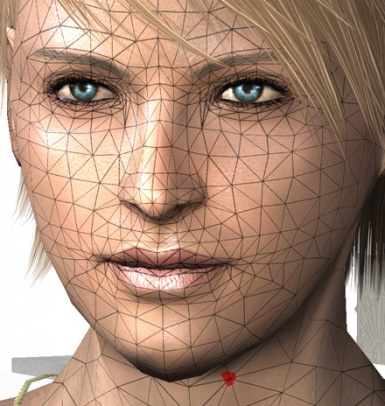 - Fixed asymmetry head mesh for Female. - Human female cheeks are rounded. It can be turned off when installing. Extends skin, hair, war-paint and tint colors. You can select a color from the slider, such as transparency, brightness, hue and brightness. It can be changed the facial expression. Combat- and -Mood can be reset by the mfg reset in console or run the Showracemenu. Other facial expression slider not reset same as other modelling slider.  Zoom on with the Shift key. You can switch levels of light to five steps by Ctrl key, such as white, yellow, bright white, bright yellow and off. Hold shift key + mouse wheel, and change FOV. Hold shift key + mouse move, and change camera direction. You can save the face you make in the slot when you exit the showracemenu. Saved-slot can be called from the Slot Load slider. It can be adjusted a vertex position. It supports human mesh of vanilla. I recommend using a mouse. When you select Vertex Edit category, show a UV map on the lower center, so you can choose a vertex. You can scale the map on mouse wheel. You can adjust a selected vertex by dragging crossed arrow or moving xyz sliders. Mirror edit mode(x symmetrical) is default. It can be toggle in the slider. When you move a vertex, you can edit range to be moved at same time apex of that around. The type of interpolation can be specified following mode. Vertex does not confirm edit until you change a selected vertex. If you want to edit the same vertex, you will need to be re- selected once. Revision history listed on the left side, you can undo/redo freely by clicking. Undo is recordable up to 50 times. You can scroll through the history with the mouse wheel. You can also move one at a time with PageUp / Down on the keyboard. Some operations are not listed in revision history. If you press "; key", the player's idle animation stops. Press it again resumes the animation. This race uses different (and independent) folders in both textures and meshes. You need to put manually the files you want from various body/face mod. YgNord's status and ability are same as Nord. YgNord's male is more younger face than nord one. Includes "Race Compatibility" and "Race Compatibility improved" for additional race bug fixed. These features cannot be available when you select "incompatible package" in installer, alternatively it does not conflict with any mods which edit race record (such as SkyRe Race). Adds 11 eyebrows to female and five eyebrows to male. Eyebrow textures included: These files are “Pretty Face” textures. You can replace them other textures you like. Adds realistic skin colors, tints colors, hair colors to female. Adds realistic skin colors, tints colors, and hair colors to female. New colors are warm color. Pink, orange, red, and brown tone. Approximately 40. Adds six moles, one freckles to female. 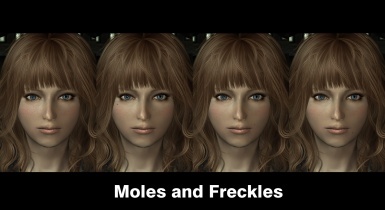 One freckles, and three patterns of moles x 2 are added to female complexion slider. If you install with dawnguard, vampire's face replaces with dedicated textures. it does not apply to player, because it causes a neck seam. It is the same fix as "Vampire Skin Color FIX". Instead, vampire's eyes do not apply to player. Don’t forget to install the scripts of “Data folder” of SKSE ! Download from "Download with manager" button on nexus. Press the "Activates the selected Mod" button. Select if you need options. Overwrite the existing files if you are asked, say "Yes to all". Select the mod in the Installers tab of Wrye Bash and then drag and drop EnchancedChacterEdit.7z. Choose copy or move, when you are asked. Right-clicked and then select the Wizard. Select options if you need. Check the "Apply these selections" and "Install this package" and then press the finish at the end. Extract the downloaded archive to a temporary location. 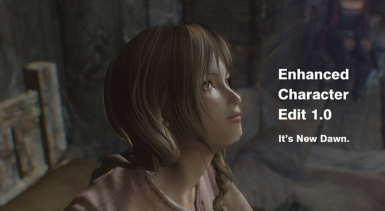 Then move it to the Skyrim "Data" folder. Activate the EnhancedCharacterEdit.esp and CharacterMakingExtender.esp in your mod launcher by checking its box. Please select option if you need. In regard to optional files. Full package: It available all the features. No Additional Race: It not add the additional race which YgNord. Incompatible Package: It cannot be used other features of e.g. adds eyebrows, alternatively it does not conflict with mod which edits race record (such as SkyRe race). Skeletons: Required to use the neck and waist sliders. Please select skeleton mod which you are using. If not on this list, modify skeleton yourself. I explain in the Q & A "How to modify a skeleton for applying neck and waist slider". 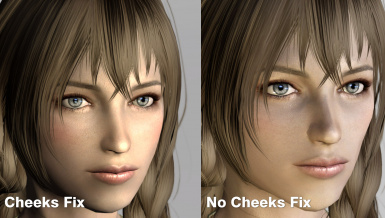 No Cheeks fix: Disable modify to round cheeks for the human female. 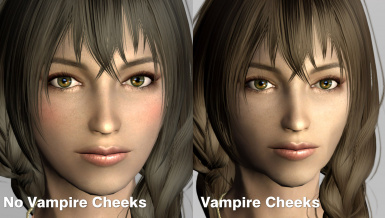 No Vampire Cheek: No sunken cheeks when player is a vampire. Slider 2x: It can be twice wider sliders. Slider 2x and Step 2x: It can be twice wider and detailed sliders. Showracemenu in console command window. Make your character, as usual, as Vanilla. If you finished, name your character, and choose a slot for saving it. You can call the character data you made a while ago, by choosing the slot of “slot load slider”. You make sure use YgNord before uninstallation. Change to another race. Deactivates this mod with any mod manager. You make sure DataSKSEPluginsCharacterMakingExtender_plugin.dll . if it exists, delete it. You make sure use custom skeleton mod(e.g. XPMS, BBP, Realistic Ragdoll Force...). Reinstall that mod. When you run into trouble, please show a message or dataSKSEpluginsCharacterMakingExtender.log. Q. It does not work. A. Make sure to install SKSE. It might be overwritten when SKYRIM update or by some mods. Let’s install SKSE, of course its “Data folder” too, again! Q. Additional sliders do not appear. A. Make sure to install DataSKSEPluginsCharacterMakingExtender_plugin_64_*_*_*.dll. *_*_* is a number of version. Q. Additional sliders does not work . A. Make sure to activate the EnhancedCharacterEdit.esp and CharacterMakingExtender.esp in your mod launcher by checking its box. Q. It does not work, I take a message "Cannot call Papyrus script event" in log. What do it? A. First, make sure to activate CharacterMakingExtender.esp. Next, type below command in console. Q. Skyrim crash on startup. A. Does not match the version of SKSE plug-in and TESV.exe. Or you did wrong installation. Please update TESV.exe or retry to install. Memory may suddenly increase and then skyrim get CTD when moving a slider rapidly. It does not occur at all in some environments. The cause is unknown. Open Data \ SKSE \ SKSE.ini and delete the following items. Q. Skyrim crash on showracemenu or appear error dialog "target cache has not found.please retry.system is too heavy?". A. Confirm whether there is an incompatible mod, or not. Do showracemenu in a small building (Breezehome, Honeyside), never in the open space. Or use the ShowRaceMenu PreCacheKiller. Q. Use ECE with racemenu, but some feature does not work..
A. Basically, racemenu features take priority. Therefore, some ECE feature does not work. ECE's preset and slot do not work. Nose slider of racemenu part does not work, but nose slider of ECE part works fine. Q. Neck down and waist sliders do not appear. A. It requires the skeleton that supports this feature. - If you use the skeleton in options. Use the installer when you choose Skeletons. YgNord and other additional race Skeleton separated. Please copy and paste it from the options. - How to modify skeleton for applying neck and waist sliders. Open the skeleton that you want to edit in NifSkope. Unchecked the Auto Sanitize before Save. Follow the hierarchy of BlockList. Click Select Node-> Attach Parent Node-> NiNode right while selecting NPC Head. Click the icon of the Value of Name Txt where in the Block Details. Enter "CME HeadPos" in the input field. Save file at the end. Q. I want to apply these additional sliders to the additional race I use. Most additional race mod can go with these new sliders automatically. Create a new ini file from the text in datameshesCharacterMakingExtender. EDID has to fit exactly with (EditorID appropriate tribal Race-> open in TES5Edit or CK) name of Editor ID.
? Some additional races is not supported, which have their own morph. Copy and paste textures from unsupported race folder to YgNord folder. I recommend you to use YgNord. It’s easier way. 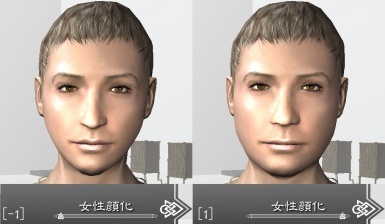 Q. I want to apply face data made by ECE sliders to NPC. You can import face morph to NPC.
? Body sliders, hair and colors cannot be applied. First, make face you want to transport in showracemenu. The last face you make is saved in NoseType32. Load Skyrim.esm in CK, and save/create esp. Example Lydia.esp. Check and make the esp “active file”, load with “CharacterMaikingExtender.esp”. 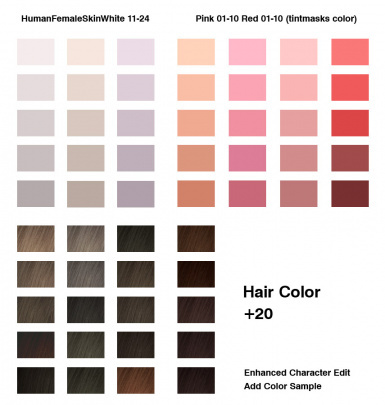 In addition, load hair esp/esm if you use. Select the actor you want to change, click the Reset All button and then select NoseType32 in the Character Gen tab. Edit the hair and makeup in Chargen Parts tab. Click the OK after editing. Output the actor selected to mesh with Ctrl + F4. Save it, temporarily. If you don't need CharacterMakingExtender.esp as master file, push the Ctrl + Delete deregistrate master in File->Data window->Parent Masters, and then load and save. 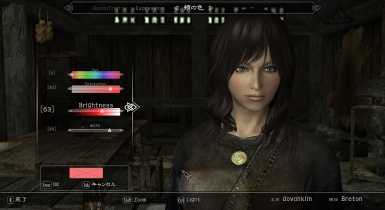 -If you want to apply changed neck-length and head size to NPC. If you don’t do this routine, don’t change the neck-length and head size. The position of hair will not accord with head. Be aware that head equipments won’t be in accord with head even when doing this task. Because of changing the size of mesh. If you want them to use head equipment of correct position, make a new race for it and specify its customized Skeleton. When you want to apply the length of the neck / head size, change LipType to the 33. You will find the hair is incorrect in the Preview. Fixing this later by Nifskope, output the actor you selected to mesh with Ctrl + F4. Sorting files by date is easy way to find. Choose "Hair ~" of NiTriShape, write the value, which is twice the length of the neck (Don’t forget to write a memo of it) to Z of Translation, + 1 to the size of the head to Scale. Right-click, Transform-> Apply the NiTriShape, and then ignore the warning click "Try anyway". Hair ~ made ? ?to all, please save. It will be displayed correctly. Q. What is name slider? For Japanese language user. It is necessary to enter a name in Japanese. Q. How to change the maximum value of the slider. A. For people want to break through the limit even if there is risk of a collapse of face. If you want to double slider, you should select the "More sliderMax x2" in installer. Compatible with slots already saved because the difference is only the maximum value of the slider changes; however if you load an “above the limit” slot on environment that does not have doubled maximum value, it will be fixed to the maximum value of “normal limit”. Be careful when you want to publish/distribute. If you set it manually, to .ini (any) in the meshesCharacterMakingExtender the maximum value is multiplied by [number] if you write "[number] SliderScale =". Player will re-ride the horse when you load the save on the state of riding a horse. It prevents your character from blowing away (wrath of Havok bug). Player will be forced third-person view when you load the save state on first-person view. It is in order to fix bug of incorrect scale. While player is vampire, you cannot change eyebrows and eyes. Vampire Face Less Sunken Cheeks Please use Option - No Vampire Cheeks. Incompatible mod has its own tri files and morphs. tktk- Administrator. Adds color and parts. RAN46- Author of RANs CharGen Morph. Adds parts. kapaer- Author of CharacterMakingExtender. Adds slider. 2017.09.16 Release for special edition. (6, August) Update For Racemenu. chargen.pex is now new version, but export head still cannot be used. (10, April) Fixed russian files. Changed ygNord's blankdetail.map from 2x2 to 4x4 resolution. Added mole and freckles for female elves and orcs. Deleted USKP Patcher for RaceCompatibility.esp. Fixed the black face bug of vampire NPC again. Fixed the glitched eye after slot save in male. Instead of removing eye parts 39 and 40. Fixed file path of ygNord's beard.